I remember from my visit to the Philippines in the early 80s that the nuns were extraordinarily active in the area of human rights (that was under Marcos). I was reminded of this when I saw the Bulalat report of 13 September that a long-time lay worker of a Catholic-run organization was arrested by elements of the Philippine Army on 8 September and the fierce reaction by Sister Somogod. Joel Q. Yadao, 44 years old, a member of the Rural Missionaries of the Philippines (RMP) , was arrested inside the compound of a Roman Catholic Church in the municipality of Villanueva, Misamis Oriental, according to RMP-Northern Mindanao Region. Yadao is charged with multiple murder in connection with the pre-2013 elections armed encounter between Mayor Ruthie Guingona’s convoy and the New People’s Army (NPA). 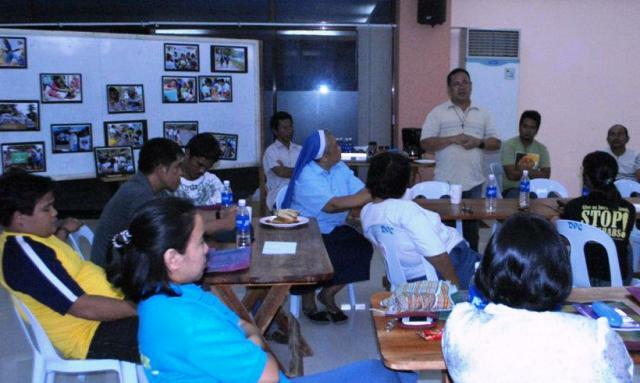 In a statement, RMP-NMR (Rural Missionaries of the Philippines-Northern Mindanao Region) coordinator Sister. Ma. Famita N. Somogod, MSM, condemned the “trumped-up charges” against Yadao and called for his immediate release: “We denounce this act of judicial harassment to disable Joel from doing his human rights work for the peasants of eastern Misamis Oriental,” Somogod said. RMP-NMR vowed to join and assist thousands of poor farmers and indigenous peoples from Misamis Oriental to march this October Peasant Month to protest landlessness and the sustained persecution of human rights defenders working for land rights and access to resources. Last month, Pastor June Ver Mangao of the United Church of Christ of the Philippines (UCCP) experienced threats and harassment. via Church worker nabbed in Misamis Oriental « Bulatlat. This entry was posted on	September 13, 2013 at 12:31	and is filed under human rights, Human Rights Defenders.